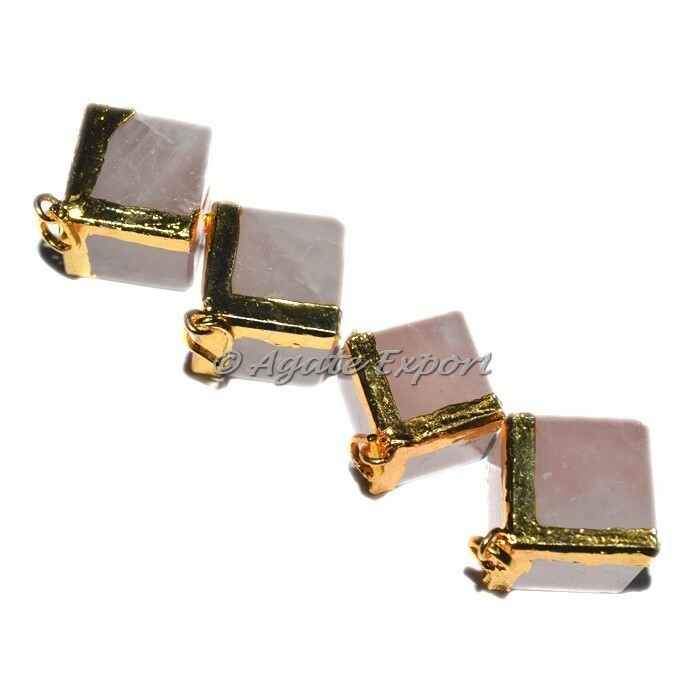 Divine gold electroplated pendants from highly polished rose quartz crystal. Rose quartz brings love and harmony in an individual's life. This gemstone helps you to forgive, understand and see fights or situations from a different perspective.